BY MAIN INGREDIENT CONDIMENTS NORTH AMERICA U.S.A. So I got some extra peaches in the fridge and I just got a new grill pan. Put the two together and we got the grilled peach salsa 🙂 If only thinking about what to cook today is that easy everyday huh? 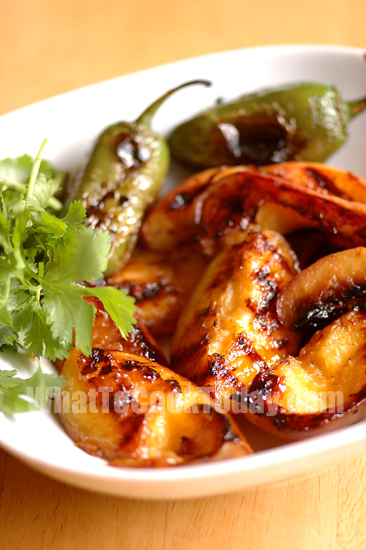 The grilled peach salsa is also from Martha Stewart Living Cookbook. 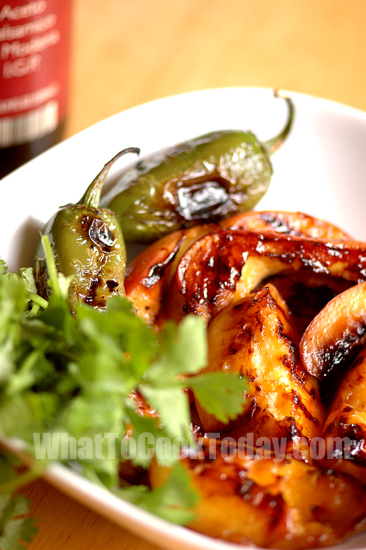 The salsa is great to serve with grilled chicken breasts, lamb chop, or flank steak. 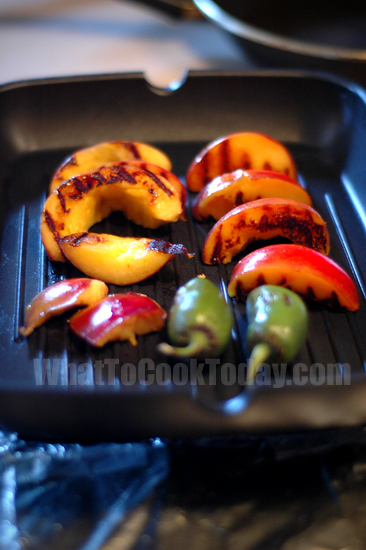 The grilled peach halves are also delicious as a side dish. The photos shown here are the “unsliced” peaches and jalapenos. Some of them didn’t make it to become a real salsa because I’d already eaten them lol!